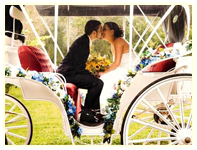 Our beautiful horse drawn carriages can be transported to your location for traditional or themed wedding ceremonies. Elegant presentation and extra touches will make your special day unforgettable. Custom Packages available. 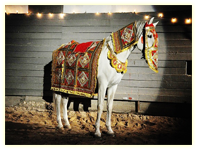 Elegant & formal carriages and horse can be transported to any location. White horses & coaches are our specialty! 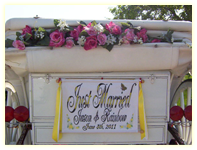 Glass enclosed coaches can make your wedding elegant! White horses, formal coachman, can come to your location! 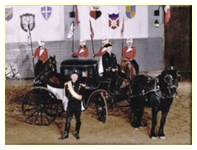 Spectacular white horse and carriages with full traditional uniform. 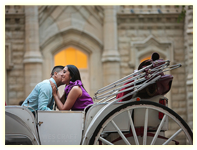 Horse and carriage can be transported to any location. We provide the most elegant white horses in the midwest. 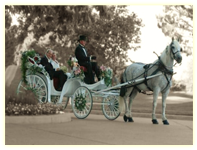 From medival knights, to western stagecoaches, Noble Horse can provide any amazing theam for your wedding!